KUWAIT: Global Investment House (“Global” or the “Company”), a regional asset management and investment banking firm headquartered in Kuwait, with offices in major capital markets in the MENA region, held yesterday its Annual General Meeting. The shareholders approved all the agenda items including the Board of Director’s recommendation to retain the liquidity and the transfer 10 percent of net profits to the voluntary reserve account and a similar amount to the general reserve account, among others. The meeting was chaired by Faisal M Sarkhou, Chairman of the Board, who affirmed the Company’s continued profitability for the sixth consecutive year despite challenging macro-economic environment and geo-political uncertainties through progress made by its businesses in implementing their growth-driven, client-focused and yet risk-conscious strategies. During 2018, the company achieved a net profit of KD 4.6 million compared to KD 2.5 million reported in 2017. Total Income (revenues) stood at KD 14.2 million, a marginal increase compared to 2017 and fee-based businesses (asset management, investment banking and brokerage) contributed to KD 11 million of total revenues. Sarkhou said: “The company has a healthy capital structure with no external debt and a capital base of KD 64.4 million. Other liabilities of KD 12.4 million mainly reflect trade and staff related payables and are covered almost 2.3 times by cash in hand. The company’s capital is conservatively deployed primarily in liquid assets, operating assets and co-investments in the company managed products. During 2018, following the shareholders’ vote and regulatory approvals, we completed KD 7.5 million cash distribution to shareholders in lieu of capital reduction in par. On conclusion of the distribution and capital reduction the authorized, issued and fully paid share capital of the parent company reduced from KD 57 million to KD 49.5 million, while maintaining adequate capital and liquidity to fund the core fee business”. Sarkhou added, “2018 marked the 20th anniversary for the company and is considered a major turning point in its future with a strategic shareholder acquiring a majority stake in its share capital. The company’s financial position, performance and human capital, among others, attracted several local and regional parties to acquire the majority stake in the company. Following negotiations and discussions with potential buyers, a purchase agreement was signed between NCH Ventures, the majority shareholder representing interests of more than 50 financial institutions, and KAMCO Investment Company in May 2018. 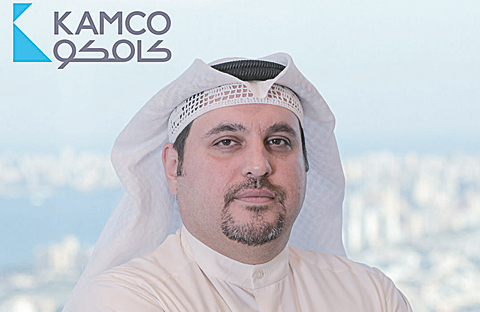 In September 2018, KAMCO Investment Company completed the acquisition of majority stake in the company thus becoming the largest shareholder owning around 70% of the company’s capital with the aim to merge both entities, where KAMCO will be the merging company and Global the merged company, to create one of the largest, strongest, and a more efficient player in the regional investment services sector namely asset management, investment banking and brokerage. Since then, teams from both companies have been working closely to create value for all stakeholders with focus on shareholders and clients. In addition, a joint application was submitted to Kuwait’s Capital Markets Authority showing the intention to merge, a financial advisor was assigned to evaluate the company and a new board of directors was elected in December 2018 to reflect the changes in shareholders’ structure. Sarkhou affirmed that during the year, the company remained at the forefront in ensuring full compliance with the letter and spirit of the various applicable laws and regulations and kept itself abreast with new regulatory developments. He added that the company’s continuous efforts to control and rationalize its cost base resulted in a decline of KD 2.5 million in the operating cost base to KD 9.6 million. Sulaiman M Al-Rubaie, Acting Chief Executive Officer, provided a detailed presentation on the company’s performance in 2018 despite of the extremely volatile and challenging economic environment due to the geopolitical tensions in the region and low domestic government surpluses in addition to internal challenges resulting from changes in shareholders’ structure. Al-Rubaie affirmed that the company has maintained the quality of its revenues through a strategy focusing on core fee-based businesses which include Asset Management, Investment Banking and Brokerage. The revenue generated by the main fee-based businesses represents 77 percent of the total revenues, i.e. KD 11 million, while revenues from fees and commissions amounted to KD 9.6 million or 68 percent of total revenue. Al-Rubaie stressed on the performance of the fee-based businesses and stated that the Asset Management business generated total fee revenues of KD 9.2 million and remained focused on launching products and services best suited to our clients’ investment needs offering recurring income/yield accompanied with low volatility. MENA Asset Management continued to report competitive performance for its managed funds and portfolios in the regional equity markets. Several funds managed by the Company outperformed their respective benchmarks and peers. The Real Estate Asset Management team has successfully acquired a property in Europe and exited two properties achieving competitive returns to clients. In Private Equity, the team’s efforts add value to portfolio companies resulted in achieving major milestones in implementing the growth strategies for several companies. The team successfully exited three portfolio companies and continued to provide its clients with liquidity in challenging geopolitical and economic environment. With successful conclusion of three exits and receipt of dividends from the underlying portfolio companies, Private Equity distributed USD132.6 million in total in 2018; USD67 million from Global Buyout Fund and $65.6 million from Global MENA Financial Assets, making Global one of the largest Private Equity distributor in the region in 2018. During the year, the Special Situations Asset Management team has won the mandate to manage a portfolio worth $90 million for a regional group, raising the total awarded mandates since launching the service in 2013 to $690 million. Furthermore, the team has successfully executed the portfolios’ strategies and resulted in generating cash inflows of $116 million to raise the total cash inflows generated to $548 million. The Investment Banking team had an exciting year despite the regional turmoil and economic challenges and generated revenues of KD 0.4 million, a marginal increase compared to 2017. The team advised on numerous transactions across the region. Some notable transactions on the Mergers & Acquisitions front included the sale of a majority stake of a listed steel manufacturing company in Oman, and the acquisition of a non-banking financial institution in Kuwait. 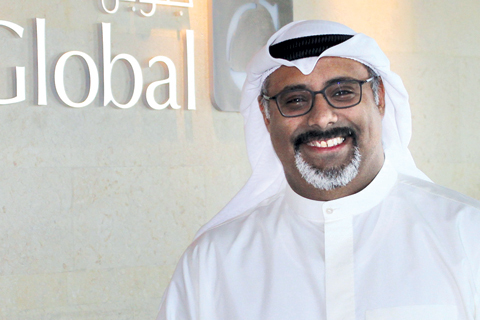 While the Equity Capital Markets in the region witnessed a slowdown in new issuances, Global participated in the Initial Public Offering of a major logistics company on the Bahrain Bourse. The team has also continued to develop the investment banking deal pipeline and was successful in securing several Equity & Debt capital market mandates in addition to Advisory mandates across the region in various sectors, including Healthcare, Financial Services, Real Estate, Food & Beverage, Media & Technology, Logistics and Construction. On the brokerage front, Global made focused efforts to grow the institutional brokerage business leading to gains in market share in markets we operate. 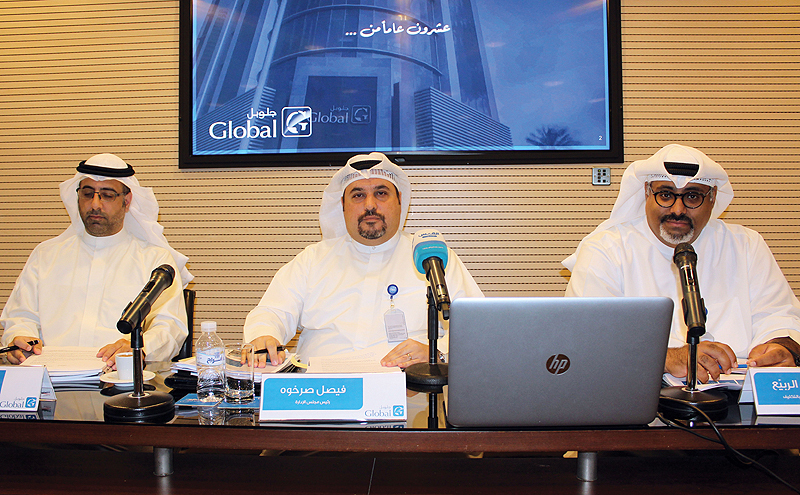 The brokerage segment contributed KWD1.3 million to revenues. Sarkhou concluded by saying” We look forward to successfully conclude the merger, thus creating value to shareholders and further enhancing offerings with solutions that can protect and grow clients’ wealth even in challenging, uncertain and volatile economic environments”.